Salt is essential to human life. Most people don't know, however, that salt -- in a form nearly the same as the simple table variety -- is just as essential to Earth's ocean, serving as a critical driver of key ocean processes. While ancient Greek soothsayers believed they could foretell the future by reading the patterns in sprinkled salt, today's scientists have learned that they can indeed harness this invaluable mineral to foresee the future -- of Earth's climate. The oracles of modern climate science are the computer models used to forecast climate change. These models, which rely on a myriad of data from many sources, are effective in predicting many climate variables, such as global temperatures. Yet data for some pieces of the climate puzzle have been scarce, including the concentration of dissolved sea salt at the surface of the world's ocean, commonly called ocean surface salinity, subjecting the models to varying margins of error. This salinity is a key indicator of how Earth's freshwater moves between the ocean, land and atmosphere. Enter Aquarius, a new NASA salinity-measurement instrument slated for launch in June 2011 aboard the Satélite de Aplicaciones Científicas (SAC)-D spacecraft built by Argentina's Comisión Nacional de Actividades Espaciales (CONAE). Aquarius' high-tech, salt-seeking sensors will make comprehensive measurements of ocean surface salinity with the precision needed to help researchers better determine how Earth's ocean interacts with the atmosphere to influence climate. It's a mission that promises to be, to quote the old saying, "worth its salt." "We ultimately want to predict climate change and have greater confidence in our predictions. Climate models are the only effective means we have to do so," said Aquarius Principal Investigator Gary Lagerloef, a scientist at the Seattle-based independent laboratory Earth & Space Research. "But, a climate model's forecast skill is only as good as its ability to accurately represent modern-day observations." 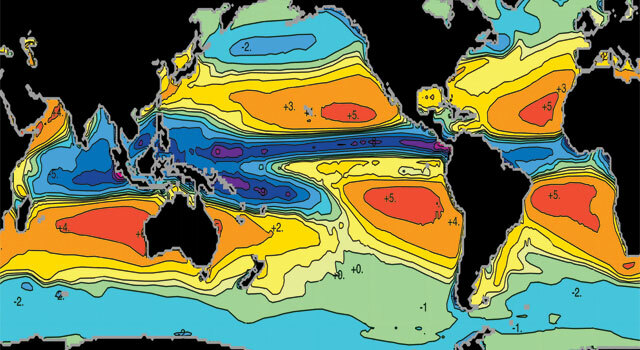 Density-driven ocean circulation, according to Lagerloef, is controlled as much by salinity as by ocean temperature. Sea salt makes up only 3.5 percent of the world's ocean, but its relatively small presence reaps huge consequences. Salinity influences the very motion of the ocean and the temperature of seawater, because the concentration of sea salt in the ocean's surface mixed layer -- the portion of the ocean that is actively exchanging water and heat with Earth's atmosphere -- is a critical driver of these ocean processes. It's the missing variable in understanding the link between the water cycle and ocean circulation. Specifically, it's an essential metric to modeling precipitation and evaporation. Accurate ocean surface salinity data are a necessary component to understanding what will happen in the future, but can also open a window to Earth's climate past. When researchers want to create a climate record that spans previous decades -- which helps them identify trends -- it's necessary to collect and integrate data from the last two to three decades to develop a consistent analysis. "Aquarius, and successor missions based on it, will give us, over time, critical data that will be used by models that study how Earth's ocean and atmosphere interact, to see trends in climate," said Lagerloef. "The advances this mission will enable make this an exciting time in climate research." Anyone who's splashed at the beach knows that ocean water is salty. Yet measuring this simple compound in seawater has been a scientific challenge for well over a century. Until now, researchers had taken ocean salinity measurements from aboard ships, buoys and aircraft – but they'd done so using a wide range of methods across assorted sampling areas and over inconsistent times from one season to another. 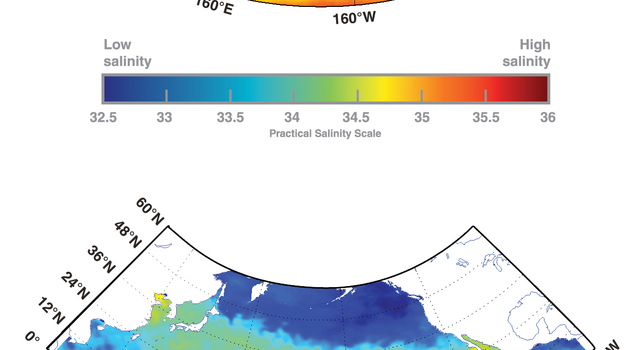 Because of the sparse and intermittent nature of these salinity observations, researchers have not been able to fine-tune models to obtain a true global picture of how ocean surface salinity is influencing the ocean. Aquarius promises to resolve these deficiencies, seeing changes in ocean surface salinity consistently across space and time and mapping the entire ice-free ocean every seven days for at least three years. Research modelers like William Large, an oceanographer at the National Center for Atmospheric Research in Boulder, Colo., will use Aquarius' ocean surface salinity data, along with precipitation and temperature observations, to round out the data needed to refine the numerical climate models he and his colleagues have developed. 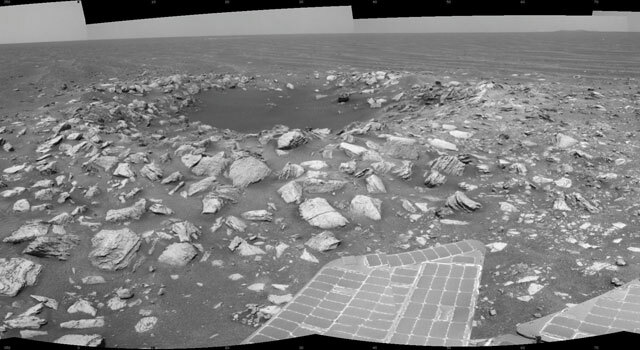 "This mission is sure to mark a new era for end users like us," explained Large. "Aquarius puts us on the road to implementing a long-term, three-step plan that could improve our climate models. The first step will be to use Aquarius data to identify if there is a problem with our models -- what deficiencies exist, for example, in parts of the world where observations are sparse. "Second, the data will help us determine the source of these problems," Large added. "Salinity helps us understand density -- and density, after all, makes ocean waters sink and float, and circulate around Earth. "Third, Aquarius will help us solve the puzzle of what's going on in the ocean itself -- the ocean processes," he added. "We'll pair an ocean observation experiment with the satellite mission to explore the mixing and convection -- how things like salinity are stirred in the ocean -- to better determine what processes might be actually changing climate. Measuring salinity at the ocean surface will deliver a pioneering baseline of observations for changes seen by the next generation of missions in the coming decades." "We've done all of the advance work leading up to the launch of Aquarius, so the proof will be in the actual data," said Lagerloef. 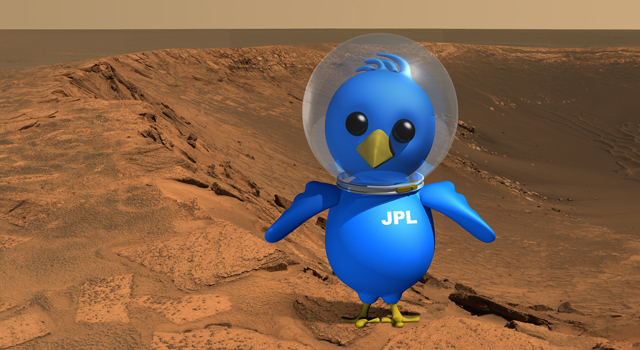 "Our intent is to put the data out immediately as soon as the satellite begins transmitting. Before the end of the first year, we'll be interpreting exactly what the data are telling us and how they will benefit climate modeling." For more information on Aquarius, visit: http://www.nasa.gov/aquarius .